Charity, they say, begins at home. So does good greening! 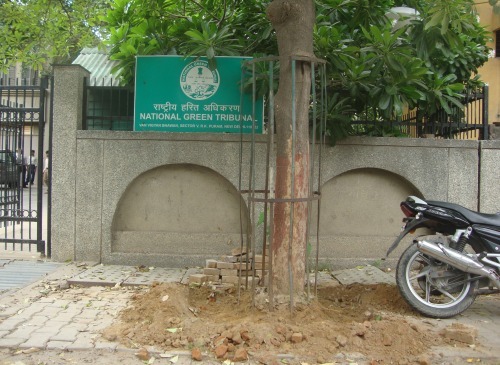 Trees outside the National Green Tribunal were deconcretized today, ahead of the next hearing on the deconcretisation of Delhi trees case (to be held on 12th July 2013). Delhi Greens has been actively supporting the campaign against deconcretisation of Delhi trees, which has now taken a legal turn for good.